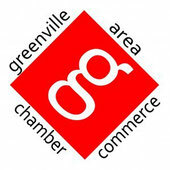 Home - Website of greenvillebusinessnetwork! The Greenville Business Network, located in Greenville, Michigan, is comprised of local businesses supporting local business and helping our area to prosper. Each member gve their 60 second commercial, then referals are stated and any testimonials are given. Each meeting we allow one business to give a feature commercial up to 15 minutes.